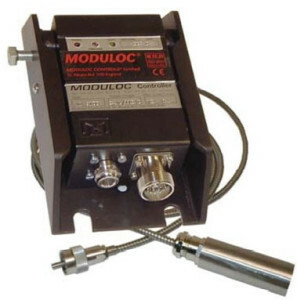 This high sensitivity MD8400 Hot Metal Detector is a robust sensor activated solely by the low end invisible infrared radiating from hot metal. It is impervious to water or steam and is built to withstand the harshest environments. 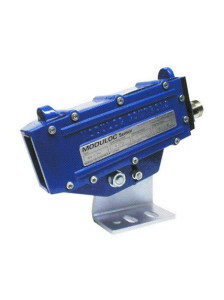 This Detector is specifically designed to enable detection of the colder steel bar and rod on the run-out table in the Bar and Rod Mill and the detection of aluminum in the Hot Strip Mill and extrusion plant. Operating via exceptionally long wave length InGaAs diode technology, detection at these low temperatures is now practical. Furthermore, this Detector incorporates special filtering that removes both the high-end Infrared signal as well all the visible spectrum to minimize sensitivity to reflected extraneous light. For general tracking, the spot lens is used and where high accuracy is required or the product deviates about the centreline (i.e. Rod Mill) the 1° x 25° lens should be utilized. In this latter instance the stated trip level will be proportionally higher (50°C max. in the Rod Mill). This would not be the case with Strip Mills for which this lens is also highly suited for providing high accuracy detection at the coiler. This Detector is especially suitable where ambient temperatures are subject to wide deviations. In standard format, a large air cooled chamber vents via a deflector in front of the lens providing combined air purged facility. Alternatively, an optional sealed water coolant radiator & separate air purge facility may be provided. 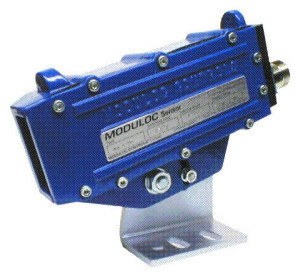 The MD8400 operates from either 110VAC-50/60 Hz or 24VDC power input. Also available for 230 VAC connection. Standard output includes a cradle relay with a 8A/250VAC SPNO volt free contact plus a switch selectable PNP & NPN transistor output. Alternatively, an optional reed relay with SPNO contact can be provided in place of the cradle relay. The MD8400 includes a remote self check. This facility remotely initiates an IR diode in close proximity to the photodiode. When activated by a remote contact, the detector switchs and its performance checked. 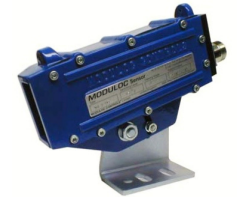 The MD8400 Hot Metal Detector is the ideal Sensor for use on Run-out table in the Steel Mill or in the Aluminium Strip Mill or extrusion plant.